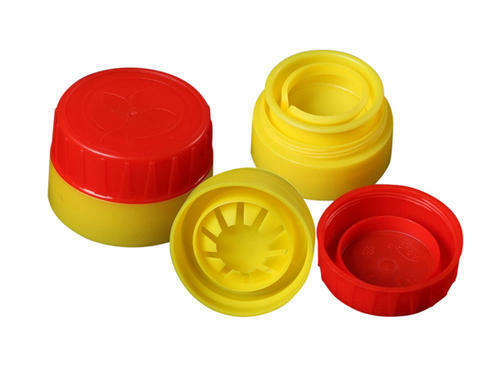 Our in-depth knowledge and industrial expertise enable us to offer a distinguished range of Edible Oil Plastic Caps. Since the time of our inception, we have been committed to offer our clients with qualitative and durable products. Coupled with a dedicated workforce and modern imported facilities including very precise HUSKY injection molding machines. We are able to manufacture and supply a wide range of superior quality PET Preforms and Plastic Caps that are widely used in packaging of edible oil. Our wide range includes Various size and weight combinations of PET Preforms and Plastic Caps. Our entire range is checked and tested on the basis of well defined quality parameters in order to deliver the best products to our customers. We are backed by a team of dexterous professionals, who with their meticulous efforts have enabled us to gain an edge over our competitors. Our highly advanced infrastructural facilities are geared up to produce the best quality of products. We follow ethical business policies in our dealings, which provide complete satisfaction to our customers. We have earned a reputed name in the plastic packaging industry due to our ability to meet the client’s requirement within a specified frame of time.